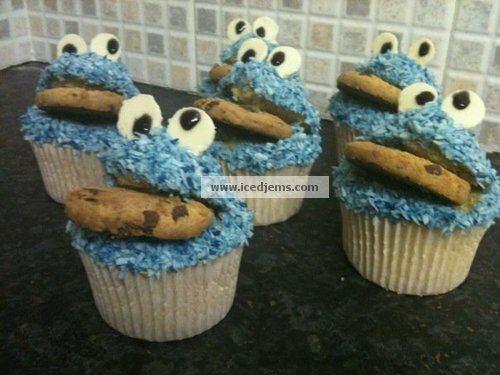 Cookie Monster Cupcakes « Gluttoner: You gonna eat that? http://gluttoner.com/cookie-monster-cupcakes this page seems a little um not really very nice. Is it really suppose to have the crossed out comment?